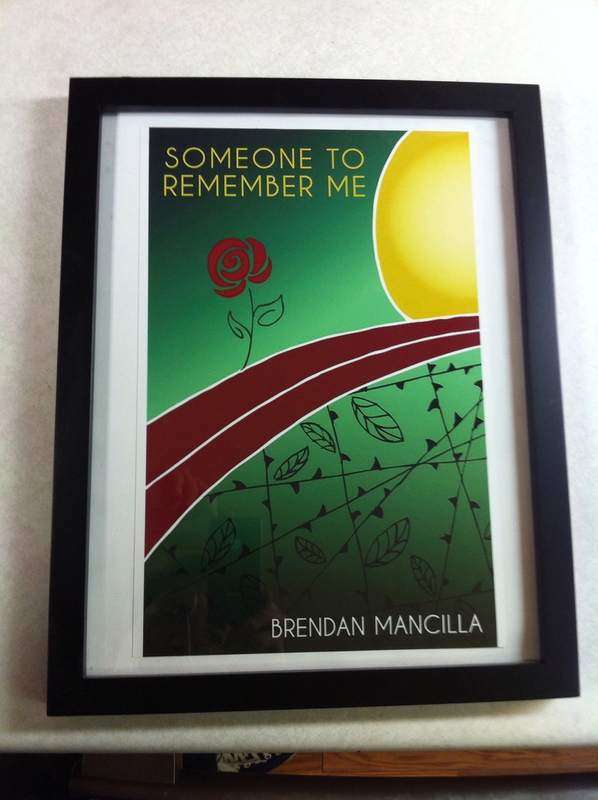 Copyright Granted – Brendan Mancilla, Author. I should’ve known something strange was afoot today when I got a 93% on a midterm of epic difficulty. What I’ve discovered after my many years in college is that professors really, truly, and dearly love it when you just answer the goddamned question. I don’t consider myself particularly brilliant, but hey, after an obnoxious surgery on my right (and dominant) hand was quickly followed up by writing the most painful (literally, it physically pained me to write) paper of my life, I’ll take whatever I can get. Then, in a separate class, my professor pushed our final essay back from next Tuesday to next Thursday. Rather than be working on that right now, I’m drafting up this blog post. Naturally. Something strange happened when I got home today. However, today’s event is really the conclusion of a process that began some two and a half months ago. In the closing weeks of January, in the buildup to the general release of Someone to Remember Me on February 3rd, I submitted a request to the Copyright Office of the United States of America to copyright the title of my book. Other writers and musicians were kind enough to tell me that it takes them forever to grant the copyright, so I gave the government $35 and crossed it off my list of things to do. With school, graduation, and other me-centric activities consuming my time I completely forgot about the copyright since there isn’t much you can do anyways to speed the process up. 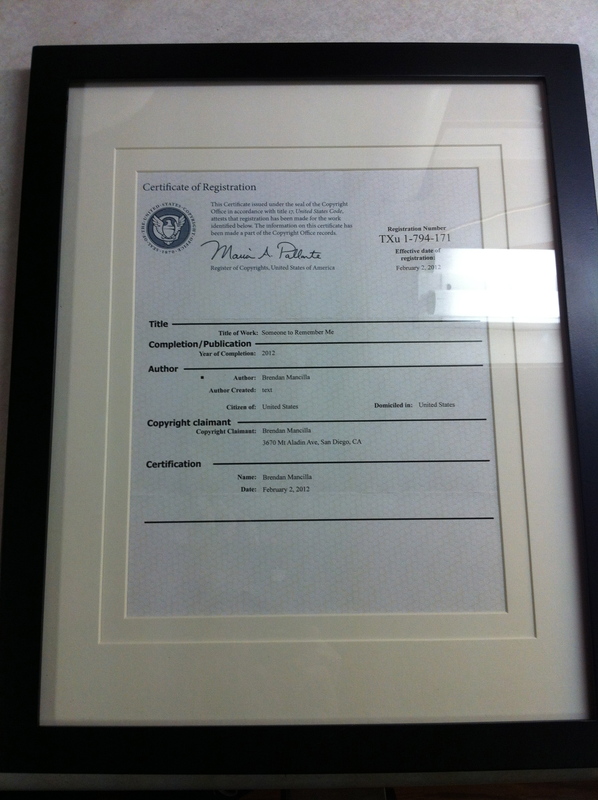 When I got home today the copyright Certificate of Registration arrived. Since then I have had it framed. Of course, now I’m actually going to need to hang both of these because my desk is a pile of crap as it is (and these two babies, MY babies, they’re above that type of nonsense). I can’t say how much I love being reminded how fulfilling this process has been. As we get closer to summer, I’ll be sharing the details about the direction the book is headed as it experiences post-release development. But more on that later. My Thursday was extraordinary. I hope yours was too.